Recognised by all major insurers and private health insurance providers, our team of Chartered and HCPC registered Physiotherapists can treat all MSK related conditions as well as providing pre and post operative rehabilitation. Additionally, we are supported by a network of professionals, in the delivery of Classes, Training, Coaching and Complementary Therapies to both private and corporate clients. ctchealthcare is a Cheshire and Staffordshire-based practice with five clinics in convenient locations – Crewe, Nantwich Congleton, Stoke and Stafford. Treating our local community for 25 years, our experienced staff offer physiotherapy, acupuncture, sports massage and biomechanical assessments. Our corporate healthcare provides an immediate, cost-effective and efficient service that ensures employers and employees alike, benefit from a fast, effective health and wellbeing intervention. Our aim is to help companies cut down on sickness absence costs, as well as administration and time invested. Complementary therapies are beneficial in restoring the body’s natural equilibrium and balance, helping it to cope more effectively with the everyday stresses and strains of life. Therapies available at ctchealthcare can be used to target a specific problem, whether physical, mental or emotional. 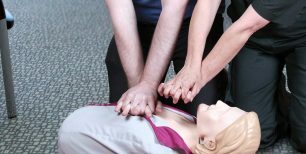 ctchealthcare is recognised as a professional training centre for the delivery of First Aid training courses,Continual Professional Development courses, and more at our training centres based in Cheshire. Our instructors are committed to delivering high quality and consultative approach to your training needs. 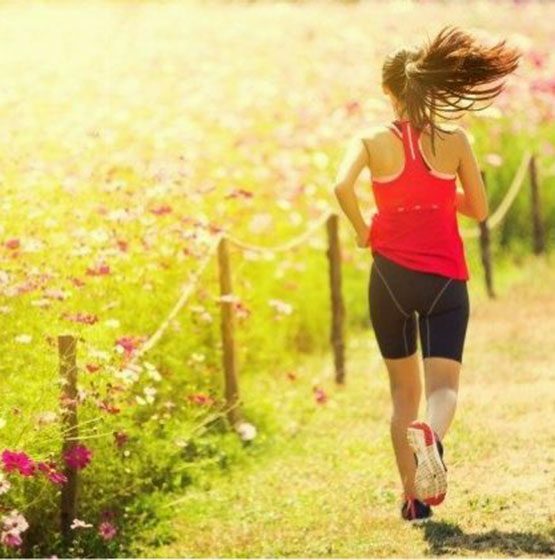 ctchealthcare’s health professionals understand the benefits of exercise for the prevention and rehabilitation of injuries. 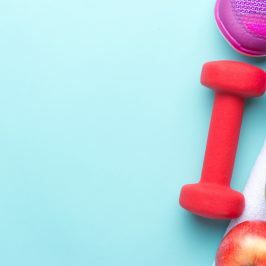 In order to prevent reoccurrence of injury, ctchealthcare run weekly exercise classes to help our patients regain, maintain and improve the strength of their ‘core’ muscles and the muscles affected during their injury. ctchealthcare has evolved from a one man physiotherapy clinic working out of one room in a GP practice to a successful organisation that delivers physiotherapy and wellbeing services on a nationwide scale. Rick Carter, Managing Director, with his background in elite sport and occupational health physiotherapy had led the business through many challenges and successes for 21 years. 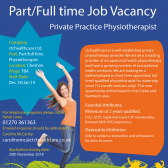 Part / Full time Physiotherapist required (12 month contract) for maternity cover. Salary: negotiable and subject to experience. To apply, please email Caroline McCarthy at carolinemc@ctchealthcare.co.uk including a copy of your CV or call Helen Lowe on 01270 361363.